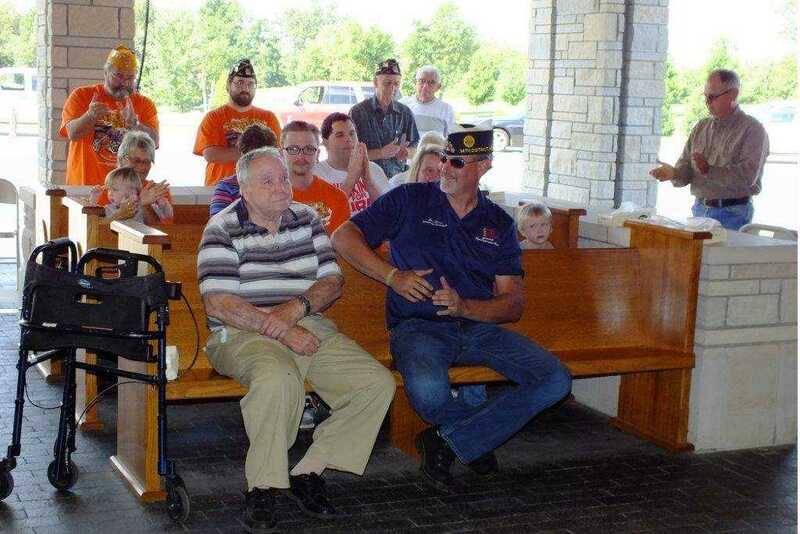 Photo courtesy of TAMMY SMITH On Saturday June 27, at 10 a.m., American Legion Post 114 from Sikeston, Mo. 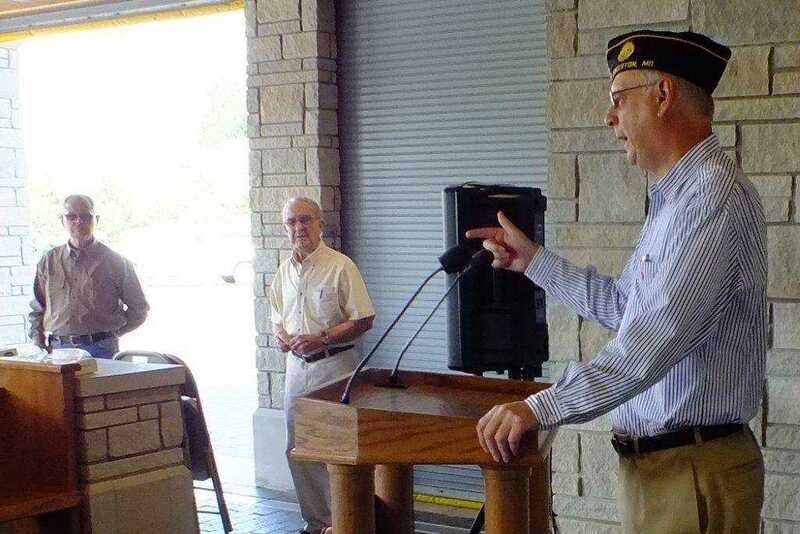 arrived at the Bloomfield Veterans Cemetery and presented the Bloomfield Assistance League of the Missouri Veterans Cemetery INC with a donation of $17,000. 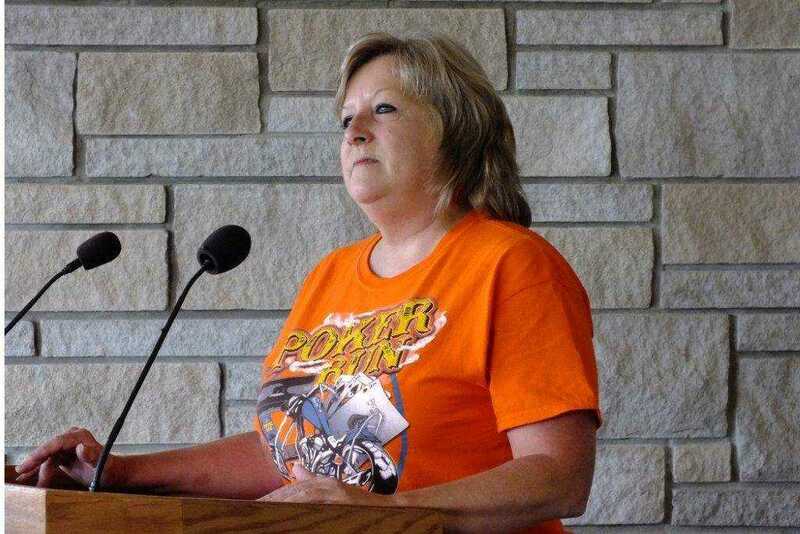 The donation represents money raised through a Poker Run and cookoff competition held over the May 29-30 weekend, which was sponsored by Post 114. 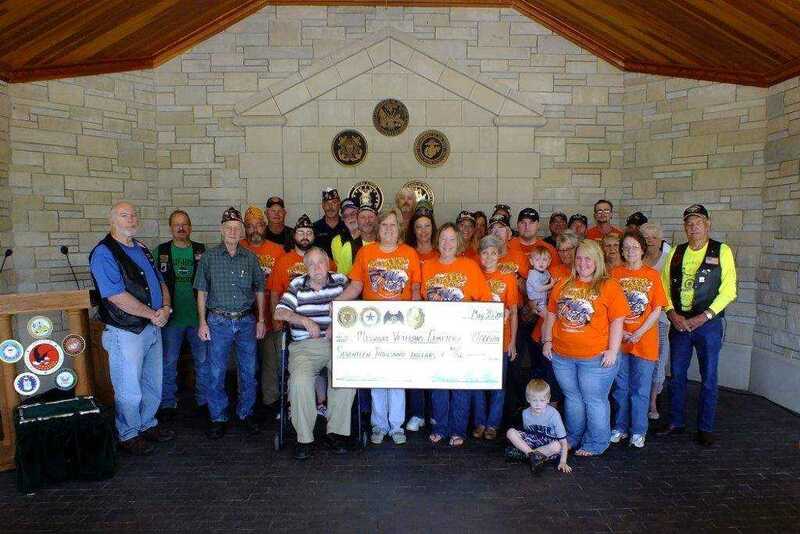 Participating in the fundraising and making the donation possible (pictured above) are members of American Legion Post 114, Sons of the American Legion, American Legion Riders, and the Ladies Auxiliary of Post 114. 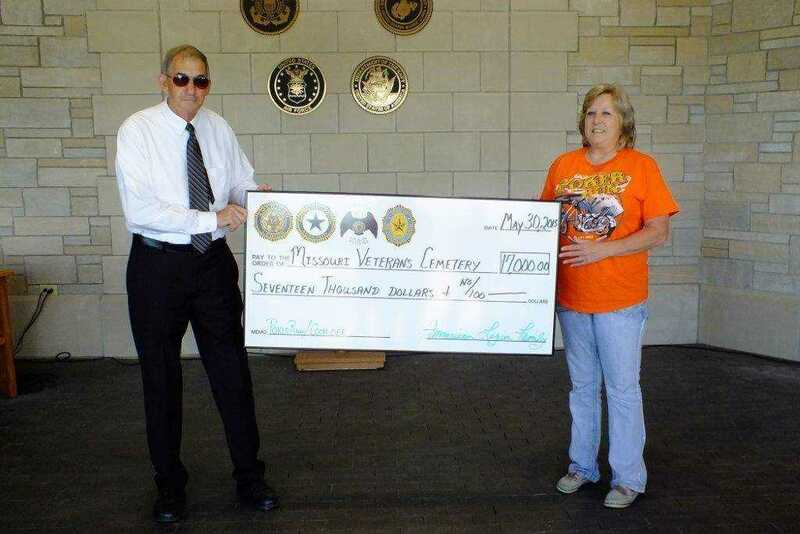 All donations to the Bloomfield Assistance League of the Missouri Veterans Cemetery, INC. are used for the specific purpose of Beautification of the Missouri Veterans Cemetery at Bloomfield only. 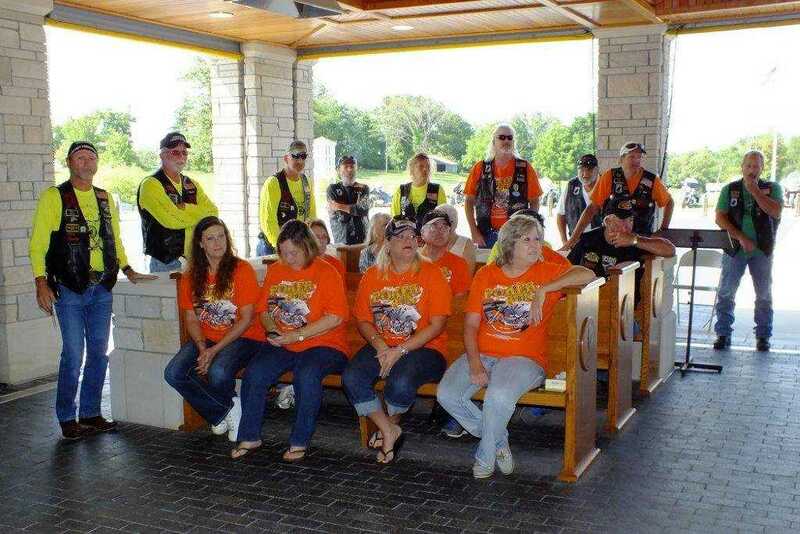 Other photos are of the check presentation to Cemetery Director Ken Swearengen, other participants and of Vickie Wilson from the Auxiliary.